SWOON ALERT! This freakin' Sarah from LuLaRoe is amazing! I love layering with it. I paired it with a knotted Carly and some simple black and white leggings. 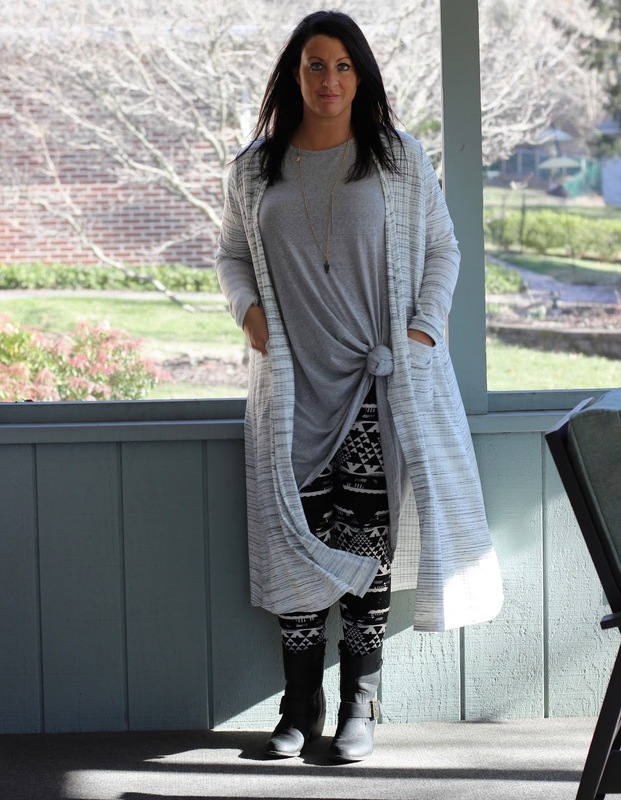 I love wearing grey, black, and white together! This Sarah is seriously so comfortable!